Communication is harder than many people think. Since the strength of a relationship is based on connection between people, communication is often underestimated as well. It is a skill that must be practiced over and over. Even when making casual conversation, there is opportunity to strengthen relationships by reflecting the interests of another. One’s words can also strain relationships when they stir up emotions. The intent of one’s message may be lost leaving both parties feeling misunderstood. Three ingredients to resolving relationship issues apply to spouses, parents, children, friends and coworkers: Understanding, Showing concern, and Agreements. One must be calm and focused to use these tools. Otherwise one’s brain, flooded with adrenaline, does not cooperate and one’s intent in communication is much different than the impact of one’s words. On the contrary, when relaxed, usually taking turns without interruptions works. Taking time to understand before you are understood even works better. Technically, one does not have to prove oneself or convince someone to be valid. Feelings:what one is feeling is more important than facts to feel close to someone. Future: the future can be changed, the past needs understanding but cannot be changed. Demonstrating that one cares is an essential ingredient in satisfying relationships. If one is in a relationship but no longer cares, perhaps one is dwelling on the negative, or there is a lack of common goals. There are a number of ways to show you care not only about a person, but also about their statements. Talk: tell the person how much you appreciate them or what they feel. Time: spend time doing something enjoyable together. Touch: affection can say a lot more than words when done appropriately. Tasks: whatever you do for another that’s not expected but appreciated. Tokens: notes, small gifts or offering to get someone a drink. Even though one may not agree about the past or about a given topic, one can make agreements for the future. Adhering to agreements yield trust, commitment, and even passion. The following considerations can increase the chance of success, even if one has to go back to the drawing board. Optimism: agreements should not bring future resentments. Options: commit to find options that will work for both parties. Outcomes: (not threats) that are understood if agreements are not kept. For many, “I” statements are recommended to be used to communicate. For example, “I feel ______ when ______.” To connect and strengthen the relationship, try an experiment using a particular kind of “You” statements. For example, “You are feeling or thinking ______ and wishing for ______.” Instead of saying, “I understand,” or repeating what another is saying, show understanding with your words. Check with the person or look for signs that they feel understood. Instead of using “You” statements to criticize, condemn, or complain, see what happens when one makes comments showing interest in another’s views, whether they are wrong or right, over time. Even though you may not agree, you can make agreements. Advice is cheap: the world wide web is full of free advice. 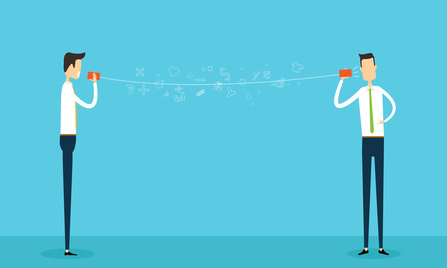 For More on the Link Between Communication and Connection.